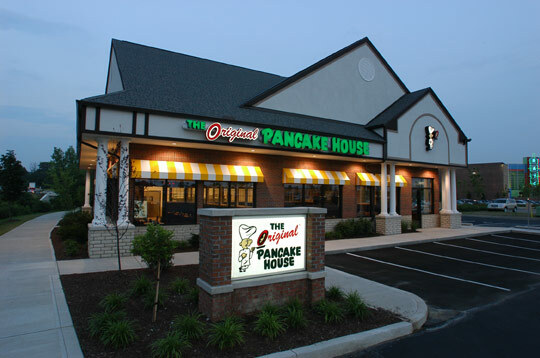 The Original Pancake House, an upscale breakfast restaurant, was completed by Venture One Construction. 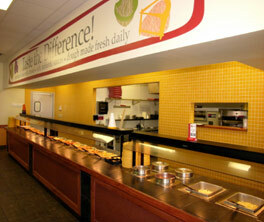 The 4,600 square foot restaurant is located in the prestigious "Streets of West Chester" Retail Center located north of Cincinnati, Ohio. The building features beautifully crafted millwork throughout, with framed stained glass and antique light fixtures for accent. Ceramic tile is featured throughout the Dining Area, while the kitchen utilizes a high quality anti slip resin finish for employee safety. 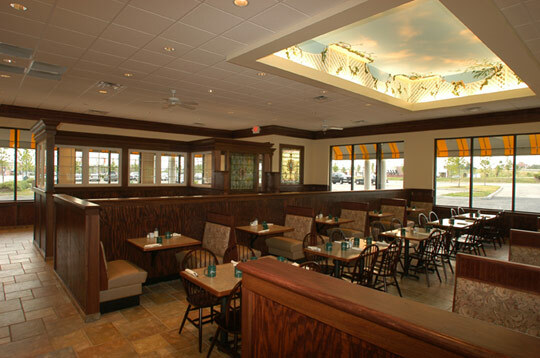 The Dining Room features a recessed ceiling with subdued lighting and faux finish graphics. 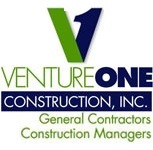 Venture One completed eight (8) 4,200 square foot fast track pizza buffet restaurants located in Cincinnati, Dayton, Northern Kentucky and Indiana. The total time of construction was ten weeks. The projects are tenant fit outs of existing white box spaces. 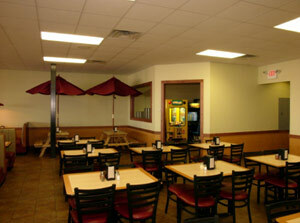 The space consists of metal framing and drywall, wtih ceramic tile throughout the Dining Room, Kitchen and Restrooms. 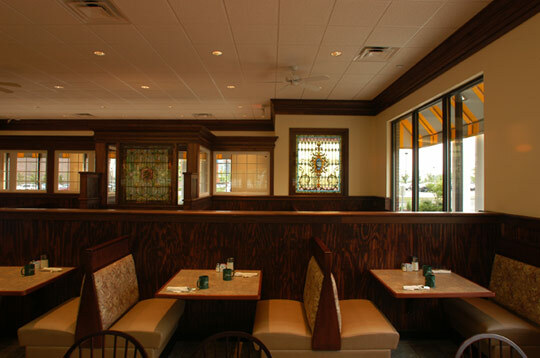 The restaurant includes a separate entrance for the Dining Room and Buffet Line and a separate entrance for the Take Out Counter to reducte pedestrian traffic.